This 1 bedroom apartment with swimming pool is located in Pattaya and sleeps 3 people. It has WiFi, a garden and parking nearby. 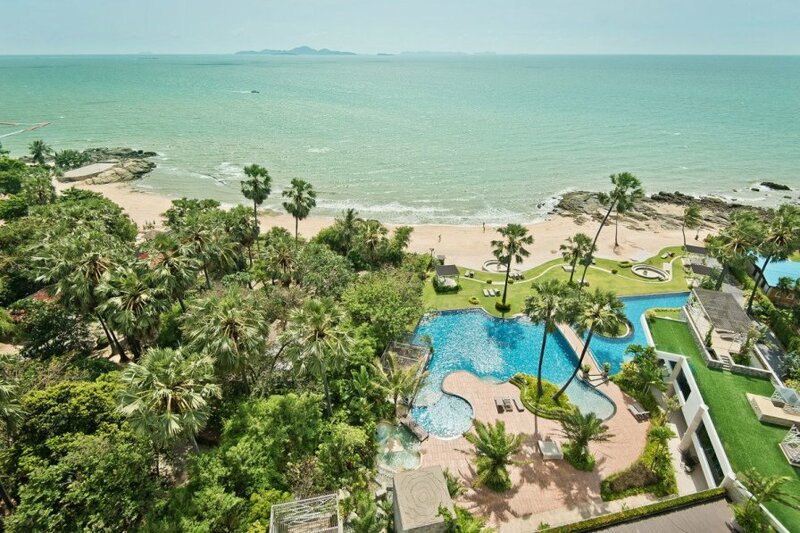 This luxury sea view apartment in prime location of Wongamat Beach is your best choice for Pattaya, the most exciting and colorful city of Thailand. A stay at Palm Dream Apartment is an experience like no other. The 70 meters exclusive beach front provides an oasis of relaxation to you. The apartment is fully air-conditioned. Enjoy your cinema experience on the satellite flatscreen TV with international premium channels. The Palm Dream Apartment boasts exciting facilities like the enormous multi-level infinity pool with integrated in-water pool beds, water slide and a fully equipped swim-up pool bar restaurant, which keeps you occupied and refreshed if sun worshiping is your thing. In case shade is more your preference, relaxing rooms will be found around the well landscape gardens as well as a large featured overhanging roof terrace directly above the pool bar. The extensive fitness centre beside the clubhouse with billiard and children play area will help you unwind. You’ll never be far from the beach. Make your dreams come true and discover a luxurious life above the Gulf of Thailand and below the spangled sky of Asia! Designed intentionally to have a resort-like feel offering facilities you'd expect and more, your time at Palm Dream Apartment will always be enjoyable. We can show you the secret spots of Pattaya. Take a Tuktuk or moped taxi to discover Pattaya.